Solgar B Complex Stress Formula contains a combination of B Vitamins (B1, B2, B3, B5, B6, Biotin, Brewers Yeast, Inositol, Choline) with Iron, and Vitamin C to increase absorption. 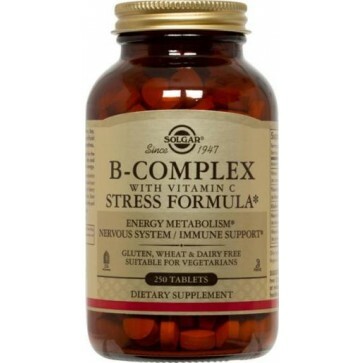 It is great to take two daily to help with stress, energy, nervous system, and the immune system. Try it you will love it!